Amid declining traditional business and rising competition across sectors, telecom carriers are under growing revenue pressure and striving for new growth. As enterprises worldwide navigate the route to digital transformation, for carriers that have always played an essential role in the traditional telecom industry, they bring new opportunities. According to IDC, digital transformation will be the key strategy for 67% of the top 2,000 enterprises by 2018. In the digitalization process, verticals' needs vary, but what they have in common is a focus on adopting a customer-centric strategy and a readiness to embrace digital technologies, such as cloud computing, big data, Internet of Things (IoT), and video. The ultimate aim is to establish a digital operating model, facilitate innovation, and foster transformation. An enterprise's digital journey requires flexible and open networks, so carriers are well positioned to be key enablers given their strong network resources around the world, established customer bases and channels, as well as brand image and reputation in the enterprise market. All of this makes the business-to-business (B2B) market a logical growth engine for carriers. 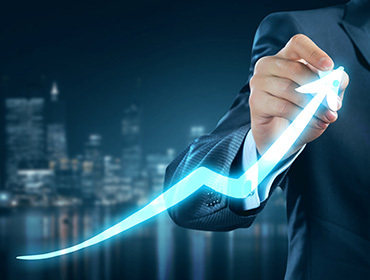 Data from Future Market Insights1 shows that the global B2B telecom market is set to reach US$107 billion by 2026, with a compound annual growth rate (CAGR) of 13.6% between 2016 and 2026. Behind this huge market growth is enormous demand for cloud, IoT, video, and enterprise communications technologies. To tap into higher-value businesses of the B2B market, it is important for carriers to use cloud as a vehicle to serve enterprises in different industries. To ride the digitalization wave, carriers have become increasingly aware of the need to reinvent the way they run their businesses. This includes changing legacy mindsets in response to the changing market and fierce competition. Indeed, with an eye to unlocking new growth, carriers are making an effort to transform their organizational structures, operating models, business processes, people management, and business models as they seek to nurture ecosystem development with an open mind. Many carriers are striving for new revenue growth by tapping into cloud, IoT, video, and enterprise communications. For many, the prospect of not having access to the cloud is unthinkable. After all, who wouldn't be drawn to an on-demand, scalable, and highly flexible service? It's a service that drives business by facilitating collaboration, fostering innovation while improving responsiveness and agility. Not surprisingly, growth in cloud uptake is strong – and it's getting stronger. According to Gartner2 , the percentage of organizations using cloud is set to reach 85% in 2019, up from 58% in 2016. Supporting this growth presents huge market potential for carriers. To further tap the B2B market, a good approach for carriers is to adjust their business models to suit their existing strengths. This includes creating cloud-based platforms to serve governments, public utility departments, as well as large and medium-sized enterprises. This is conducive to business innovation and facilitates the digital transformation of different verticals. Many carriers are making inroads into cloud, including China Telecom eCloud, Deutsche Telekom Open Telecom Cloud, as well as the "Cloud of Clouds" strategy of British Telecom. In 2016, Telefónica helped Angeles Hospital, Mexico's third largest healthcare provider, to migrate its Digital Doctor service to the "Telefonica Open Cloud" platform. The purpose was to help the hospital to flexibly expand its business, efficiently cope with soaring traffic, and manage data amid rising demand for the Digital Doctor service. The new platform provides users with innovative online medical services, such as storage of medical images, faster response times for medical queries, and local payment support. It also allows patients to manage their personal information, identify nearby doctors, and consult medical professionals via video or online chat. Another area where cloud makes a discernible difference is with the Geographic Information System (GIS), something that all governments heavily rely on in the management of cities. GIS is widely used across government departments, such as planning, land, environmental protection, water resource, and forestry. However, these systems are very often developed in silos, stifling data sharing and cross-department collaboration. Through the use of cloud, China Telecom Xuzhou helped the local government to integrate all GIS resources into a single cloud. This improved collaboration, enabled faster emergency response times, and ensured more efficient city management. All verticals have their own unique business processes, and need to follow different industry standards and security regulations. To achieve a high-value return from their cloud services, carriers need to have a genuine understanding of customer needs in different verticals. That typically means working with partners from those verticals, as well as developing a good ecosystem that is open, aiming to foster collaboration with a wider pool of experts. It is also important to improve the ability to deliver cloud services by streamlining organizational structures and nurturing employee empowerment, both of which create a foundation for ensuring rapid response times and agile innovation. We now live in a world where all things are sensing, connected, and intelligent. At its heart is the IoT. Huawei forecasts3 that, by 2025, there will be 100 billion connected IoT devices used in every facet of business and life. This presents huge opportunities to carriers. 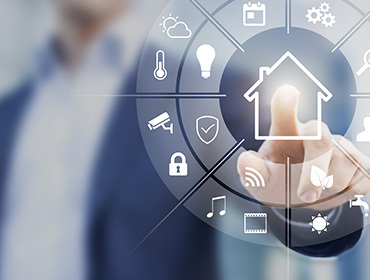 Huawei cites 10 areas that are most suited for carriers looking to tap into IoT: smart metering, smart parking, smart tracking, smart street lighting, smart farming, smart home, connected vehicles, fleet management, Internet of Elevators and Escalators, and retail. In the US, the IoT has long been a key source of carrier revenue growth. Taking Verizon as an example, revenue from its IoT business reached US$690 million in 2015, recording 18% year-on-year growth. This was far higher than the 3.6% general revenue growth of the company over the same period. Verizon has set a 2017 target for its IoT revenue at above US$1 billion. To achieve that figure, it needs to provide a full package of "IoT connectivity + Cloud platform + Big data + Solution" services to meet the unique needs of different verticals. Hahn Family Wines Vineyard in California is among many users of Verizon's ThingsSpace IoT platform. The platform enables on-demand irrigation based on soil nutrients, moisture of the soil, and the humidity of the surrounding environment. This lowers costs and improves efficiency for the vineyard by reducing water consumption. It also meets different water and nutrition needs for each growth stage of the crops. In 2017, China Telecom helped Shenzhen Water Group to upgrade its water management system by launching the world's first smart water project based on narrow-band IoT (NB-IoT). With China Telecom's network and its "eCloud 3.0" platform, the project helped Shenzhen Water avoid losses from missing readings and water leakages from pipelines. The outcome was significantly lower costs compared to those of traditional manual meter readings. By analyzing the water usage patterns of different consumer groups, the system also provides clear guidance for the construction and maintenance of pipelines. The IoT is a huge, complex system wherein different devices need different types of connections. Carriers need to advance their technologies to provide connections, security protection, big data analytics, and artificial intelligence capabilities to suit verticals' differing needs. It is important for carriers to get government support for obtaining licenses and spectrum. At the same time, establishing alliances with equipment and ICT manufacturers, software developers, research organizations, governments, and other related parties plays an essential part in fostering collaboration to innovate and develop new business models. In building safe city and when migrating to smart city, many city authorities have deployed surveillance video in key public areas, as well as locations of special significance. And in industries where there are high security requirements, HD cameras are widely used to locate and flag potential security vulnerabilities on a real-time basis. Video is set to become a core business for global carriers, and surveillance video will be a major driver of growth. 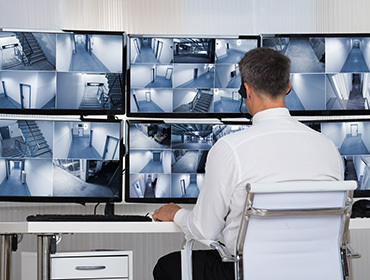 Data from MarketsandMarkets4 shows that the global video surveillance market will grow to a size of around US$75.6 billion by 2022, and will record a CAGR of 15.4% between 2017 and 2022. Safaricom, a leading telecom carrier in Kenya, is one of many examples of the successful development of video business. It built Africa's first modern "Safe City" system in Nairobi, Kenya's capital, using new information and communications technology. During the project, 1,800 HD cameras and 200 HD traffic surveillance systems were deployed across the capital. A national police command center, which supports over 9,000 policemen and 195 police stations, was set up to help with monitoring and case-solving. Since the completion of the project in 2015, the regional crime rate has since dropped by 46%. In 2016, the number of international tourists travelling to Kenya rose by 13.5% year-on-year. In 2017, China Mobile launched several new products in its series of integrated video surveillance products. Built on the company’s high-speed network and a centralized platform that supports cloud storage and provides services with a unified access, the video products serve many industries with smart surveillance applications and intelligent analysis capabilities. The solution has been used in a wide range of situations, such as public security inspection, insurance damage assessment, forest fire prevention, construction site security, and security of water and electricity systems. The technology demonstrably increases efficiency and safety in public security, transportation, electricity, petroleum, environmental protection, water conservancy, financial services, and other industries. China Mobile sees revenues from surveillance video growing to more than CNY10 billion over the next five years, serving 10 million users in 11 industries. From smart cities to safe production, the market for surveillance video is enormous. Behind this market are a large number of users with different needs. There are also innumerable players in niche markets. It is important for carriers to support the ecosystem in order to understand how best to work with all parties to achieve the best outcomes. Building on their network and platform strengths, carriers wanting to move up the value chain can develop smart surveillance video services, and amplify the value of video to end users by offering a range of video applications, including facial recognition, big data, and other technologies. 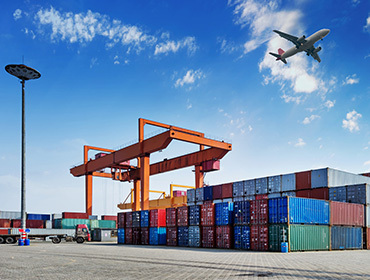 Agile, efficient, and on-demand enterprise connectivity and communications services, such as HD videoconferencing and unified communications, will be a green-field site for carriers' future growth. Taking unified communications as an example, the market size is set to hit US$96 billion by 2023, according to a research5 by Global Market Insights. That number reflects the huge potential of the enterprise communications market as a whole. By relying on its enterprise communications cloud, China Telecom Guangdong managed to provide enterprise users with seven types of services on the cloud all through a single optical fiber, including internal call network, unified communications, call center, and enterprise private network. 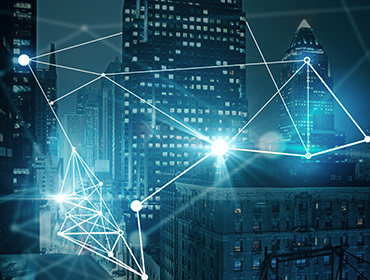 Vodafone has also put enterprise connection services and "OneNet", its enterprise communications service for SMEs, at the core of its B2B business. Connectivity and telecommunications are carriers' greatest strengths. By fully incorporating these technologies into enterprises' production and operational processes, carriers can create a boundary-free collaboration experience for enterprises with one-stop service that achieves greater agility and efficiency. In video, cloud, and many other emerging areas of business, carriers work with over-the-top (OTT) players, aiming to leverage the rich applications that exist in OTT to bring users a premium experience. In the long run, however, carriers need to fully embrace the cloud. This means they not only need to digitalize their own business, but also need to enable their enterprise customers to go digital. As part of this, they need to change mindsets, upgrade technologies, and promote ecosystem development. As a long-term partner, Huawei is committed to helping carriers seize new growth in their digital journeys. It does so by supporting expansion in B2B markets through cloud services and by collaborating on ecosystem development in an open, stable, and mutually-beneficial way.